Americans are known by their cars and their love for their vehicle is more than evident, particularly the muscle cars. Names like Mustang, Corvette, Pontiac, Chevy etc. have been always popular amongst Americans and are not likely to go out of style any time in the near future. But more often than not, some brand names launch a car or some new company emerges with a ghastly model of vehicle which makes its way to the bottom of the demand list at lightning speed. Some of these least popular cars in America earn their moniker owing to their incompetent performance and features while some because they deserve to. 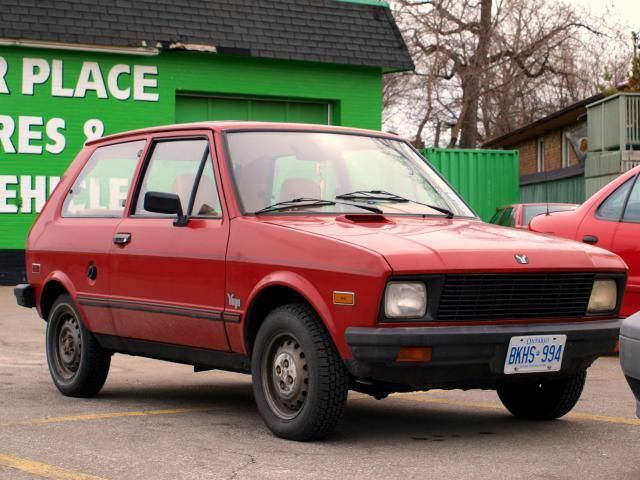 Causing a sensation in the mid-80s, Yugo was announced as the least expensive car in American market costing a great deal less than the lowest priced cars during that time. Along with marketing pitches claiming Yugo to be equipped with fabricated interiors and carpeting, the basic notion of being able to buy a car below $4000 saw a massive demand of the car even before it was launched. Dreams were shattered when Yugo was launched and was soon scrapped by Americans owing to its faulty functionality and disastrous engineering. Pontiac is an imminent name in the field of automobiles that have launched a number of cars which have with time earned legendary status. Hence, the anticipation was immense before the launch of this experimental model which was like a family camper with a tent-like extension in the rear. The car looked visually abominable and scarred the reputation of the otherwise famous brand name. Anyone who has seen a Gremlin on the streets already knows why this car makes it to this list. With a design more disastrous than its name, the AMC Gremlin looked like a sedan from the front with a hasty hatchback finish in the rear. Needless to say, the American market which craved funky muscle cars found no interest in this ghastly looking model amidst other innumerable visually appealing cars.